Lady and the Blog → Personal Blog → Daily Diary: Finding Normalcy, Making A Bucket List … And Getting Rich? Daily Diary: Finding Normalcy, Making A Bucket List … And Getting Rich? Yesterday, I sat down with the kids and had them tell me all of the things they want to do now that I am on my feet again. It started out in your typical way – go to the park, see a movie, have family game night. These are things that were part of our regular routine prior to me getting pregnant. 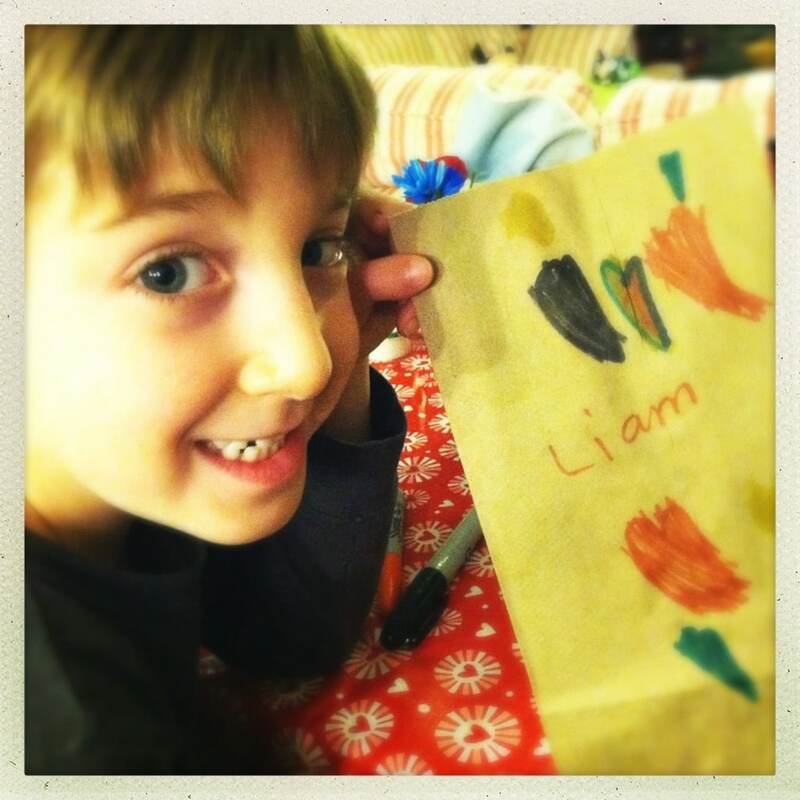 Well, once we were rounding out our MUST-DOs, Liam adding one more in. 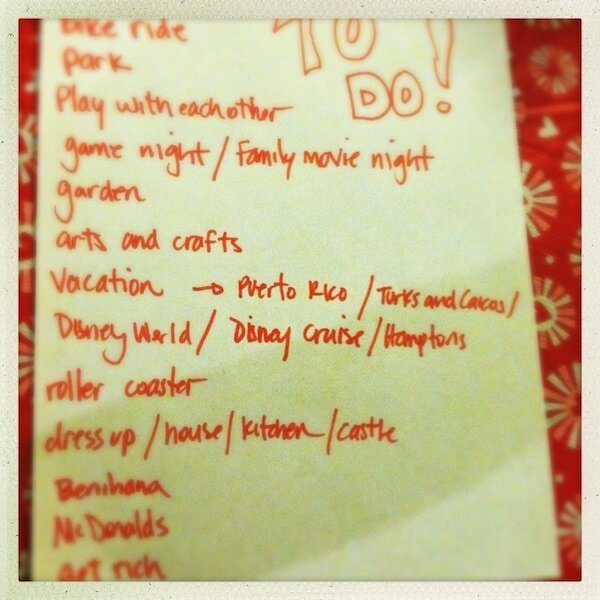 I told him this was a list of things to do as a family and he told me that he completely understood that. LOL! OK – so I added it just for fun. Caleb is a good baby. He is a great baby. You have to hear him cry – he sounds like a bird. It is insanely cute. 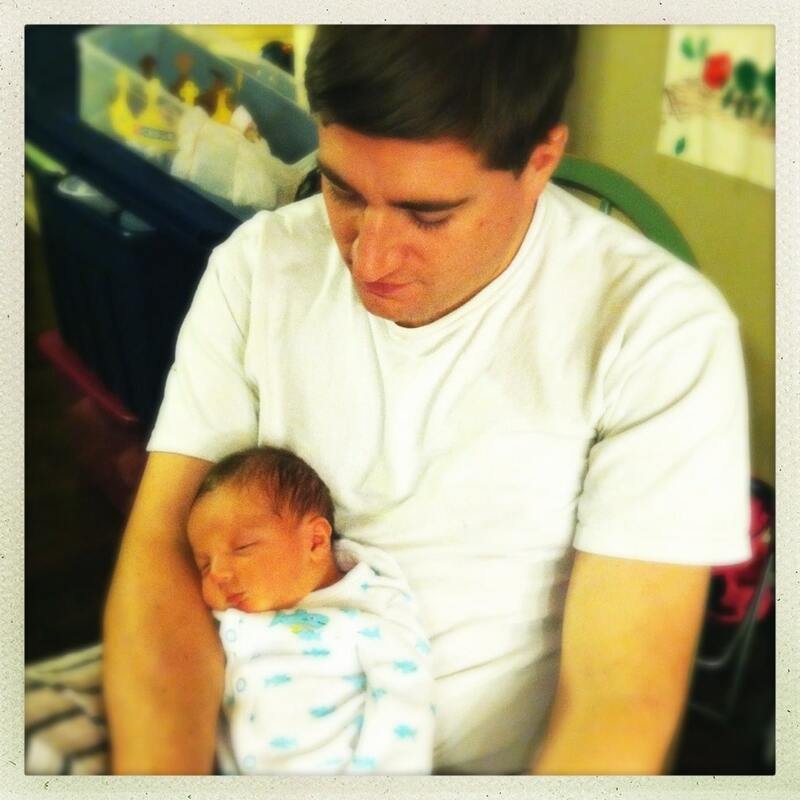 Here he is drunk on food with Daddy. 🙂 I can eat him right UP. The rest of the evening we did arts and crafts as a family. 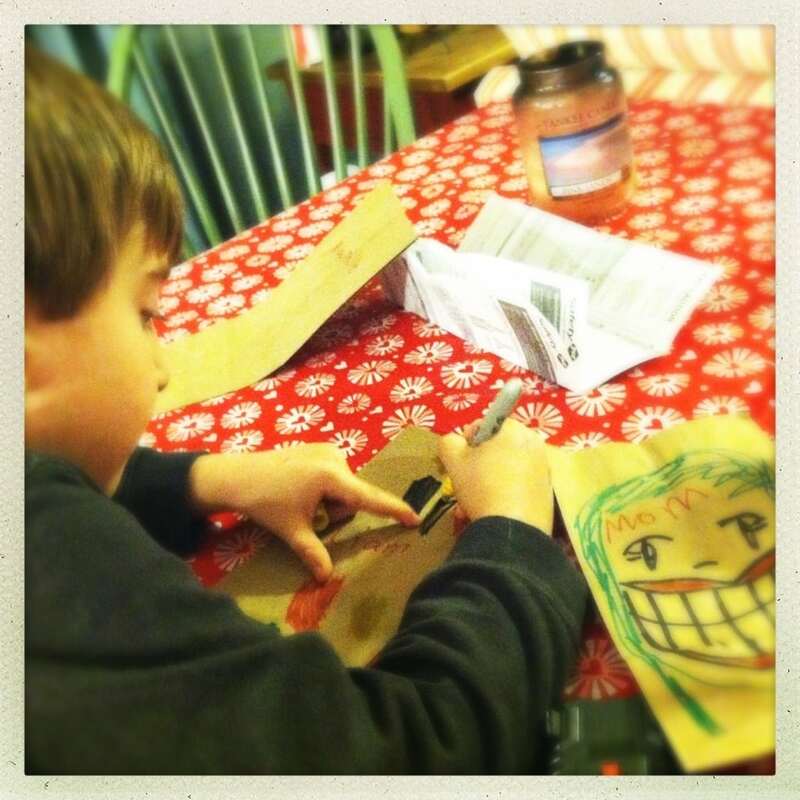 We used up all of extra Valentine’s Day cards and drew on paper bags. The kids were happy. So was I. Nice to get back to our “normal”.